Don’t get me wrong. I can be entertained by athletic events; I even know all the rules of tennis and most of hockey. But I believe I will fully comprehend the world’s collected works on theoretical physics before I “get” football. Do you get football? I’m impressed. 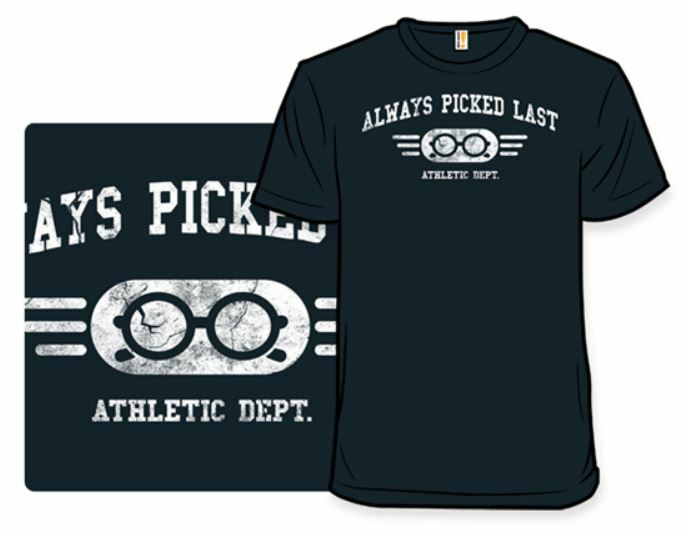 A close second favorite in Woot’s athletic section: Always Picked Last (there should be an ALWAYS PICKED FIRST (in spelling bees) shirt). 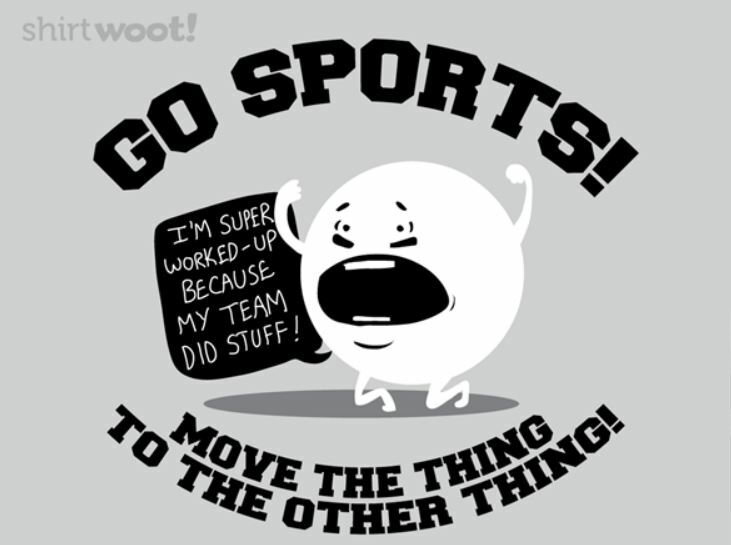 Enjoy the Superbowl, if you’re watching! Thank you, Brian, for sharing this! This entry was posted on February 1, 2015 at 8:04 pm and is filed under clothing, humor, wish list with tags clothing, humor, wish list. You can follow any responses to this entry through the RSS 2.0 feed. You can leave a response, or trackback from your own site. 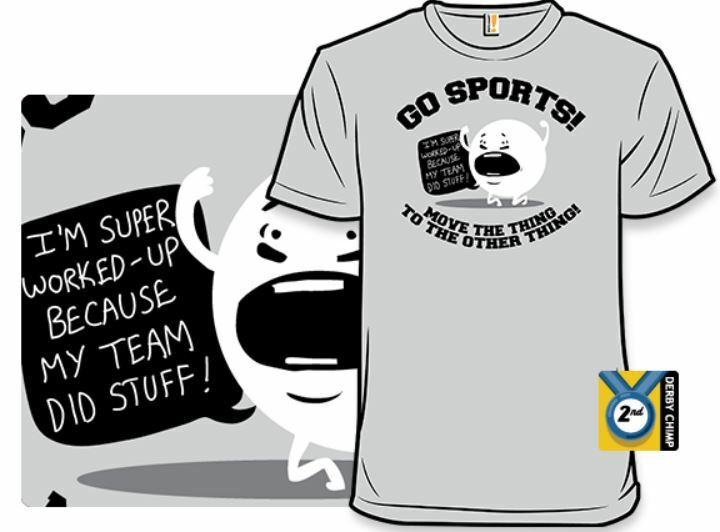 I want a GO Sports! Very well done.